Actually Egypt would make a wonderful choice for those who would love to spend their vacations in lifetime spectacular experience. 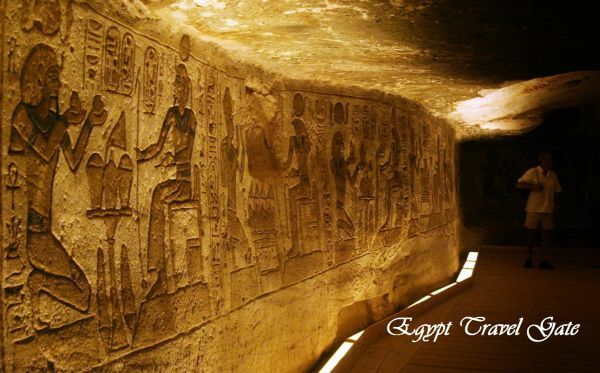 There are several Easter tours to Egypt that would be appealing to a wide range of tourists visiting the land of the Nile from all over the globe. The guests may choose to relax on the shores of the Red Sea spending their vacations in cities like Hurghada, Sharm El Sheikh, and Dahab where the weather they can enjoy the magic of the Red Sea and the best sandy beaches in the world. Another marvelous choice for spending the Egypt Easter Offer is to go on a charming Nile Cruise ride from Luxor to Aswan or vise versa. The Nile cruise ships are extremely luxurious, offer the highest standards of services, and give the tourists the chance to visit all the important monuments in Southern Egypt. If the guests are looking for a more classy stylish Easter Tours to Egypt, they should try sailing in a Dahabiya boat. These sailing boats were used by the royals of Egypt in the beginning of the 20th century to navigate through the Nile. Dahabiya offers the chance to the tourists to experience Egypt the same way as the last kings and queens of the country. For the more adventurous tours fans, the guests can go discover the splendors of the Western Desert of Egypt to explore marvelous sites like the White Desert, the Black Desert, and the many historical sites located in and around the oases of Egypt. Cairo, the capital of the land of the Nile, would also make a perfect choice for an Egypt Easter Break. The guests can visit the most popular highlights of the city like the Pyramids of Giza, the Egyptian Museum of Antiquities, the Khan El Khalili touristic market, and the Citadel of Saladin. Just think of the vacation of your dreams and remember that Egypt has it all. A holiday by the sea, a Easter Nile cruise vacation, an adventurous trip to the desert, or even a wonderful classical tour of Cairo would all make an amazing Easter vacation in Egypt.